MiCollab is a mobile-first, communication suite from Mitel that provides employees with a real-time collaboration experience that is consistent and mirrored across all devices. The application allows users to connect by voice, video, messaging, and audio conferencing to keep up with projects and stay connected with colleagues, whether in the office, at home or on the go. MiCollab provides unified communications services across desktop (PC and Mac), web and mobile devices, enabling collaborative workspaces for team-based meetings, conversations, content collaboration and project management. Audio, web and video conferencing features include scheduled / ad hoc conferencing and webinars, participant management, desktop and application sharing, public and private chat, remote control, file transfer, conferencing recording, and an Outlook client plug-in. MiCollab’s collaborative workspaces for team meetings, conversations, content review and project management allow users to assign and track action items, and capture project activity including chats, content, reviews, and more, from start to finish. Search capabilities help users find the content they need. Users can create meetings on the fly, choose participants, and launch real-time meetings from within a stream. The platform acts as a single access point for all business communication, with access to voice messages and contact presence information, informing users if the individual is currently away from their desk, or available for a video call, chat, or collaboration session. Users can retrieve voice, text and fax messages from a single, synchronized location and place a call with the tap of a button using the point-to-point video feature.MiCollab integrates with other business applications such as Outlook, Lotus Notes, IBM Sametime, and Google. I have selected the product for purchase and have been using it for about seven years together with other Mitel solutions.MiCollab enables employees to master their own availability. Wish to choose when to receive phonecalls on your desk phone and when on your mobile? Redirect calls to a co-worker when you are unavailable? Change your status based on your calendar, schedule or location? You name it, the software can help you accomplish it. It integrates with Outlook so it can recognize who's calling, and you can look up your collegues in the employee directory. You can even set up a conference call with multiple attendees if you are an advanced user. Clients are available for a wide range of platforms: Windows, macOS, Android, IOS and Web. MiCollab enables employees to master their own availability. Wish to choose when to receive phonecalls on your desk phone and when on your mobile? Redirect calls to a co-worker when you are unavailable? Change your status based on your calendar, schedule or location? You name it, the software can help you accomplish it. It integrates with Outlook so it can recognize who's calling, and you can look up your collegues in the employee directory. 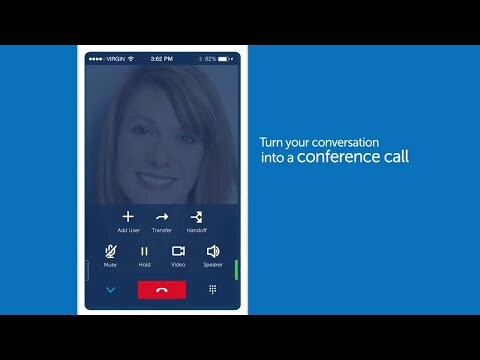 You can even set up a conference call with multiple attendees if you are an advanced user. Clients are available for a wide range of platforms: Windows, macOS, Android, IOS and Web. The user interface design is not very intuitive. You need to get used to it since it does not really follow Windows interface design standards. Also, some features are not available on all platforms. There is a new Windows client available which is much more user friendly, but it lacks some features like programming the buttons of a Mitel desk phone. Room for improvement is how Mitel handles it customers. We do not get direct access to the software. Everything must be done via a 'partner' even though we pay yearly to receive product updates. This is the only vendor that refuses customers to download the licensed software directly. We stopped using the software after a strange issue showed up on Windows 10 where it would cause CPU to spike indefinitely, killing laptop batteries. I think that has been resolved now, but it went on for so long, we switched to another chat client. We have Mitel phones and this client integrates seamlessly with them. I like the Exchange calendar integration with the dynamic statuses. We're not able to create permanent chat rooms in the software that team members are assigned to or are able to sign into. We have to manually start a chat with one team member and then invite additional team members to it. Very good features especially for the employees who work from home or travelling. As an administrator, i don't like much. As micollab client is configured on the micollab, the micollab is no as consistent as expected. This make the administrator to re-configure micollab some times. Wish that if provided additional line features. The overall function of it is easy to use. There are plenty of options for make busy and the ability to check on other callers and stats. You can only call out one line, there is no way to use more than one line at a time which is extremely difficult in a call center atmosphere which requires you to make multiple calls at once. It requires having to hang up and call back which is tedious. Contact Mitel for detailed pricing information. MiCollab facilitates access to the knowledge, insights, and experiences of team members, allowing for higher quality, and more timely business decisions. Access the same phone and collaboration tools and features while on the go, and seamlessly transition from the office to the road without missing an interaction. MiCollab provides enhanced communications and productivity with integration to business applications such as Outlook, Lotus Notes, IBM Sametime, and Google. A collaborative workspace allows users to assign and track items to ensure tasks are accomplished before their due date. launching a real-time meeting via audio, chat or video conferencing. Below are some frequently asked questions for MiCollab. Q. What type of pricing plans does MiCollab offer? Q. Who are the typical users of MiCollab? Q. What languages does MiCollab support? Q. Does MiCollab support mobile devices? Q. Does MiCollab offer an API? No, MiCollab does not have an API available. Q. What other apps does MiCollab integrate with? Q. What level of support does MiCollab offer?